THERE’S A SPECIAL Limited Edition of the latest MOJO magazine. 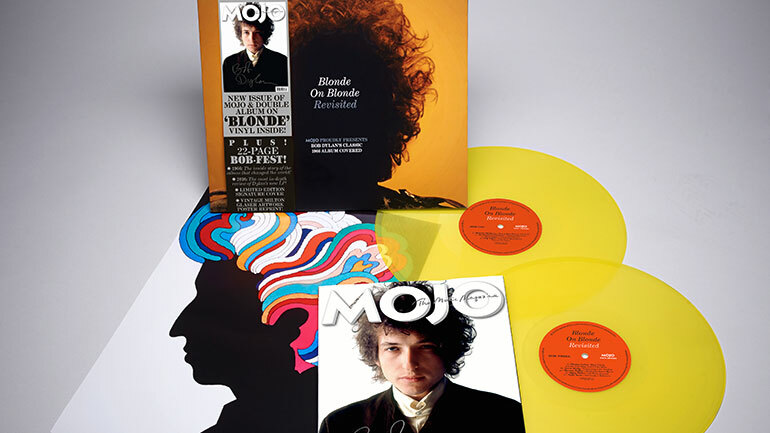 In 12” gatefold format, it includes MOJO’s specially-commissioned Blonde On Blonde Revisited album on double ‘blonde’ vinyl, a reproduction of a superb Bob Dylan art poster from 1966, and the latest issue of the magazine. Only 3500 copies have been pressed, making this the rarest issue of MOJO ever. Celebrating the 50th Anniversary of Dylan’s Blonde On Blonde, MOJO hand-picked some of the magazine’s favourite artists including Thomas Cohen to interpret specific tracks from Dylan’s landmark album. MOJO’s Bob Dylan Limited Vinyl Edition is available to purchase online WHILE STOCKS LAST.